(Photo by Chanat Katanyu)New elections are now being held at six polling stations in five provinces, including Bangkok, from 8am to 5pm, as ordered by the Election Commission. On Sunday morning, voters began to assemble at the polling station before 8am. Tawatchai Thoedpaothai, an EC member, travelled to the polling station for an inspection before the vote began. 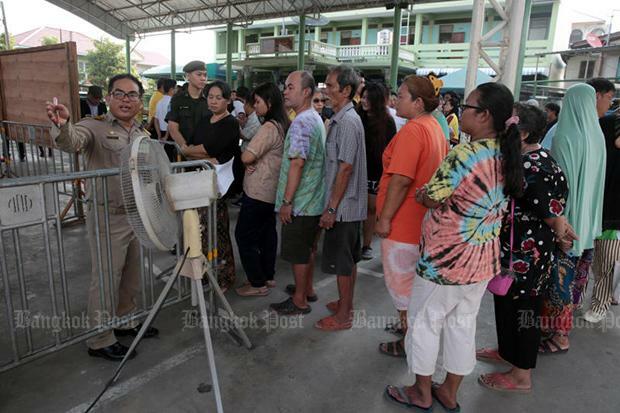 In Bangkok, Lertviroj Kowattana, an EC member, went to the 32nd polling station at Lamsalee Ratbamrung School in Bang Kapi's Hua Mak district on Sunday morning for an inspection. This polling station is for 802 eligible voters to cast their votes. A series of explosions were reported at three churches and two five-star hotels in Sri Lanka’s Colombo on Sunday. Reports say that at least 25 people may have been killed. 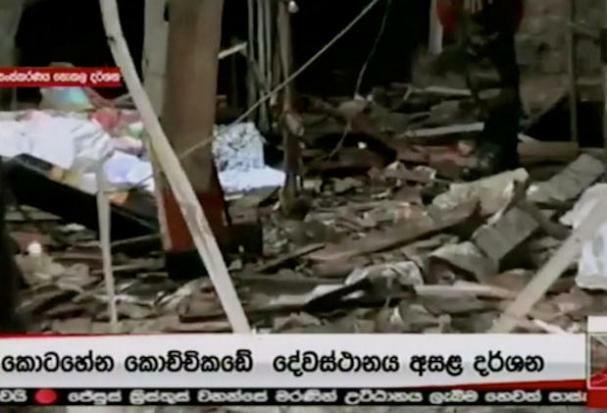 Sri Lankan media reports that two of the explosions occurred at the same time at around 8:45 am. It is not clear what triggered the explosions but Sri Lankan security officials said they were checking for details. The Sri Lankan police are yet to issue an official statement. 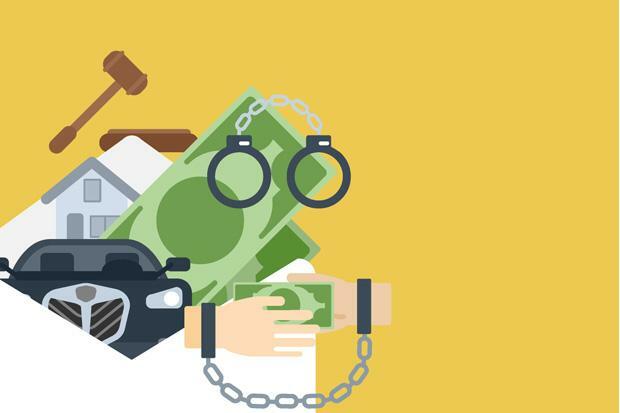 (Graphic from Suan Dusit Poll)Thai people believe politics and corruption are the most severe problems facing the country, followed by the lack of democracy and a weak economy, according to the result of an opinion survey by Suan Dusit Rajabhat University, or Suan Dusit Poll. The poll was conducted on April 16-20 on 2,054 people throughout the country to compile their views on what's good, bad and most loved about Thailand. Asked what they love and cherish most about the country, 43.07% of the respondents cited the nation, religion and monarchy; 33.68% Thai culture, tradition and identity; 27.88% the family institution; 21.86% the country's natural resources and environment; and 17.06% national treasures such as historical sites and palaces. Asked to identify the best things about Thailand, 37.47% chose Thai culture and traditions; 32.48% the country's tourist spots; 29.35% the Thai smile and hospitality; 23.80% the richness of natural resources; and 20.57% Thai food. Asked what is worst about Thailand, 52.22% cited politics, the behaviour of politicians and corruption; 25.80% the lack of democracy and freedom; 19.82% the poor economy; 19.18% the lack of unity; and 15.34% air pollution, garbage and traffic conditions. BRISBANE (AUSTRALIA) - Ice-cool Ashleigh Barty produced a commanding performance to beat power-hitting Aryna Sabalenka and hand Australia a 2-1 lead in their Fed Cup semi-final against Belarus in Brisbane on Sunday. Barty is in red-hot form after bursting into the top 10 by winning the Miami Open last month and is now on a 13-match Fed Cup winning streak. Sabalenka had a 2-1 edge in career meetings coming into the tie, but Barty was the more composed, with the Belarussian's serve letting her down. The Australian got the crucial break in game five of the first set, when Sabalenka fired down four double faults, including on break point. A tight second set also went with serve until the fifth game, and in a mirror image of the first Barty again broke when Sabalenka double faulted as the pressure mounted. Burning tyres are seen in an ice factory compound early on Sunday. The fire spread from burning stubble in an adjacent rice field into Tharathip ice factory in tambon Khlong Khu, where hundred of used auto tyres were piled up inside the factory compound. 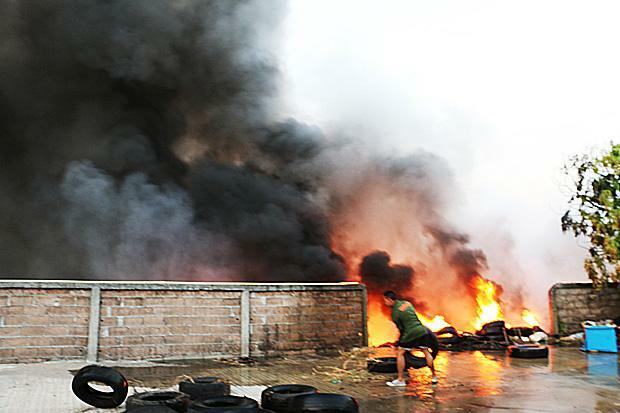 The tyres went up in flames, sending billowing black smoke over the factory and causing panic among people in the Phichit Municipality. Water trucks and fire engines from the province's peace-keeping force on standby at the city hall, together with a number of troops and firefighters, were rushed to the ice factory. The burning tyres caused severe air pollution, but no other property was damaged. Illegal outdoor fires continue to occur in Mae Hong Son province despite the ban and the raging smog crisis. In recent months, Mae Hong Son has been struggling with haze most of the time. Satellite images confirmed that there were at least 23 hotspots in Mae Hong Son on Saturday. Kampanart Prachongpim, who heads Mae Hong Son’s forest-fire control division, said on Sunday that teams from several provinces had come to Mae Hong Son to help extinguish forest fires that were often caused by people. According to him, by the time these forest fires were put out, about nine rai of forest reserves had been destroyed. Debris is seen at St Anthony's church after explosions hit churches and hotels in Colombo, Sri Lanka, on Sunday, in this still image obtained from video. 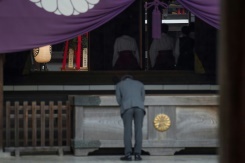 (Derana TV/via Reuters TV)COLOMBO: A string of blasts hit high-end hotels and churches in Sri Lanka on Sunday, injuring hundreds of people as worshippers attended Easter services. The first explosions were reported at St Anthony's Church in Colombo and St Sebastian's in the town of Negombo just outside the capital. At least 160 people injured in the St Anthony's blast had been admitted to the Colombo National Hospital by mid-morning, an official told AFP. "A bomb attack to our church, please come and help if your family members are there," read a post in English on the Facebook page of the St Sebastian's Church at Katuwapitiya in Negombo. Thailand's Ariya Jutanugarn and Australian Minjee Lee shared third on 277, one stroke ahead of American Danielle Kang, Mexico's Gaby Lopez and South Korea's Choi Hye-jin. Henderson, who shared the third-round lead with American Nelly Korda, won her first LPGA title at the 2015 Portland Classic as a qualifier. She won twice each in 2016, 2017 and 2018 with her lone major title coming at the 2016 Women's PGA Championship. Henderson held fast, sinking a clutch eight-foot par putt at the par-3 16th to maintain her margin. "My parents have sacrificed so much for us to have this dream out here, to make our dream a reality," said Henderson. A summer storm damaged about 100 houses in Nakhon Ratchasima province. 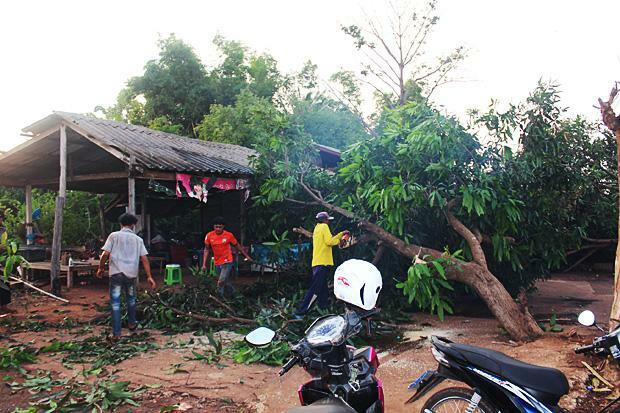 (Photos by Prasit Tangprasert)NAKHON RATCHASIMA: About 100 houses in three tambons in Khon Buri district were partially damaged after being hit by a summer storm on Saturday afternoon, an official said on Sunday. Somchart Dejdon, the major of Tambon Khon Buri Tai Municipality, said about 40 houses in tambon Khon Buri Tai were hit by the storm, but the damage not serious. The storm also damaged about 20 houses in tambon Orapim and 40 houses in tambon Chorakhehin. Wichit Kijwirat, the Khon Buri district chief, instructed local leaders to examine the damage and report to him so that a relief operation can be launched as soon as possible. Roengchai Khongthong, deputy governor of the Electricity Generating Authority of Thailand, disclosed on Sunday that power demand soared to 29,680.3 megawatts at 9.35pm on Saturday while the mercury hovered at around 32 degrees Celsius in Bangkok. The power demand on Saturday night broke the previous record of 29,618.8 megawatts recorded on the night of May 11, 2016. Back then, the temperature was round 33 degrees Celsius in Bangkok. Roengchai said although the demand for power had soared, Egat has implemented necessary measures to ensure adequate power supply. 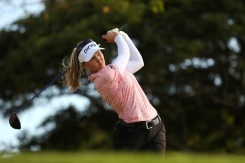 LOS ANGELES: Brooke Henderson captured her second consecutive Lotte Championship on Saturday, winning her eighth LPGA title to match Sandra Post for the most all-time tour triumphs by a Canadian. "It's amazing to be mentioned in the same sentence with Sandra Post," Henderson said. Henderson, who shared the third-round lead with American Nelly Korda, won her first LPGA title at the 2015 Portland Classic as a qualifier. She won twice each in 2016, 2017 and 2018 with her lone major title coming at the 2016 Women's PGA Championship. "My parents have sacrificed so much for us to have this dream out here, to make our dream a reality," said Henderson. A summer storm damaged 100 houses in Nakhon Ratchasima province. (Photos by Prasit Tangprasert)NAKHON RATCHASIMA: About 100 houses in three tambons in Khon Buri district were partly damaged after being hit by a summer storm on Saturday afternoon, an official said on Sunday. Somchart Dejdon, the major of Tambon Khon Buri Tai Municipality, said about 40 houses in tambon Khon Buri Tai were hit by the storm. Also damaged by the storm were about 20 houses in tambon Orapim and 40 houses in tambon Chorakhehin. Wichit Kijwirat, the Khon Buri district chief, had instructed local leaders to examine the damage and report to him so that a relief operation can be launched as soon as possible. And activist Samira Hamidi is demanding that women be included in the peace talks. The United States is holding direct talks with Taliban leaders -- all men --- in a bid to forge a peace deal. Two Afghan women were invited to informal talks in Moscow in February between the Taliban and Afghan representatives, but their presence was very peripheral. In the United States, powerful women are lending their voices to the Afghan campaign. "Afghan women must be able to speak for themselves," Jolie wrote. Korat households hit by water shortage. (Photos by Prasit Tangprasert)NAKHON RATCHASIMA: About 300 households in three villages of Non Sung district of this northeastern provinces have been hit by a shortage of water for over a week, according to a local media report. The shortage began on April 12 when water pipes from a local plant of the Provincial Waterworks Authority ran dried. 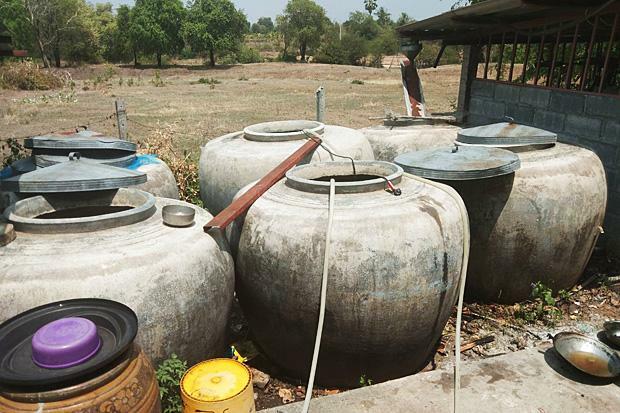 Affected by the water shortage are about 300 households in three villages - Ban Phoek, Ban Mai Nong Bua and Ban Non Tako - in tambon Lum Khao of Non Sung district. The shortage has also forced her to close a shop providing coin-operated washing machines, Mrs Turin said. (Initial graphic from Suan Dusit Poll)In the eyes of the Thai people, politics and corruption are the worst of all prevailing problems in the country, followed by the lack of democracy and the poor economy, according to the result of an opinion survey by Suan Dusit Rajabhat University, or Suan Dusit Poll. The poll was conducted on April 16-20 on 2,054 people throughout the country on their views on various prevailing problems regarding political, economic and social conditions in the country. Asked are "most" loved by the Thai people, 43.07% of the respondents mentioned the nation, religion and monarchy; 33.68% Thai cultures, traditions and identities; 27.88% the family institution; 21.86% the country's natural resources and environment; and, 17.06% national treasures such as ancient sites and palaces. Regading Thailand's "best", 37.47% said of Thai cultures and traditions; 32.48% the country's tourist spots; 29.35% Thai smiles and hospitality; 23.80% richness of natural resources; and, 20.57% Thai food. Asked about Thailand's "worst", 52.22% mentioned politics, behaviors of politicians and corruption; 25.80% the lack of democracy and freedom; 19.82% the poor economy; 19.18% the lack of unity; and, 15.34% the air pollution, garbage and traffic condition.